Years ago, the barn represented the center and livelihood of a family farm. Farming operations have changed since then, but your investment in farm buildings, property, and livestock continues. That’s why we offer farm property insurance, available through your farm and county mutual. It’s called the FarMate® policy because it’s flexible to match your needs. Coverages protect your home and household property as well as your farm buildings and farm personal property. Contact your local agent for a quote today. You like your independence and your freedom. That’s why you choose to make your living on the farm. Grinnell Mutual admires your choice. That’s why we chose to stand beside you, to help protect you and your loved ones from financial exposure. 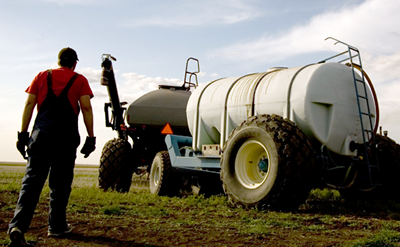 Our Farm-Guard® policy has been protecting farmers and ranchers like you for the past 40 years. Available from your farm or county mutual, it was one of the first farm liability insurance policies on the market. Farm-Guard is there to protect you should an accident, injuries, or claims of negligence arise as a result of your farming operations. Ask about our identity protection and restoration coverage, available at no charge on home and farm policies through our FarMutual® agents. 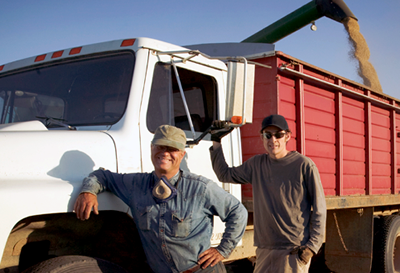 For more information about Farm-Guard farm liability insurance, or to ask for a quote, contact your local agent.